The truth is that pit bulls are, above anything else, dogs. The truth is that all dogs (and all animals, for that matter) learn the same way. Ever heard that a penny dropped from the Empire State Building will kill someone if it lands on his or her head? Or that Albert Einstein failed Math? Or that bats are blind? 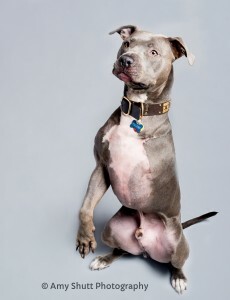 What about the claim that pit bull dogs (and other “strong” breeds) can’t be trained using positive reinforcement? That they require harsher methods to be “brought into line”? These seemingly-unrelated contentions all have one thing in common: They’re myths. Baseless fallacies. Dreamed up by some person, for one reason or another, to describe a phenomenon that he or she didn’t fully understand. And, as it happens, these claims are not merely unfounded, but there is remarkable evidence to the contrary. The truth is that pit bulls are, above anything else, dogs. The truth is that all dogs (and all animals, for that matter) learn the same way. The truth is that we can effectively train dogs, of all breeds, without hurting or scaring them. The truth is that all dogs learn via consequences and associations. And the truth is that (given the right motivation), these consequences and associations needn’t be painful or frightening. And if they needn’t be, they shouldn’t be. The foundation of animal learning is actually pretty simple: Animals learn via consequences and associations. But how do we apply these theories in real-world settings, when a squirrel or an enticing smell is far more interesting to our dogs than we are? The answer is just as simple: we find the right motivation, and adjust criteria accordingly. So, let’s break this down. The techie term for this type of learning is operant conditioning. Dogs learn by the immediate consequences of their actions. In their view, there are good consequences and bad consequences, and they’re constantly trying to start or keep the good stuff, and avoid or end the bad stuff. This leaves us four ways to influence their behavior, summarized in the chart below. The immediately preceding behavior will increase. The immediately preceding behavior will decrease. Those of us who elect to train without force or fear leverage the good stuff, i.e. rewards. We reward the dog for performing behaviors that we’d like to see more of (aka positive reinforcement) and remove rewards for behaviors we’d like to see less of (aka negative punishment). Dogs repeat behaviors that are reinforced; they learn, remarkably quickly, that that’s how they get the good stuff. If the dog sits, he gets a cookie. If he walks on a loose leash, he gets to continue moving forward. If he comes when we call him out of play at the dog park, he gets to go back and romp around with his buddies. It’s important to remember that this law still applies regardless of our intent in changing the dog’s behavior. So for example, if the dog jumps to greet us when we come home at the end of the day, and we pet him and tell him how much we’ve missed him, we are rewarding jumping. Similarly, if we leave our dinner on the countertop, and the dog gets a hold of it, counter-surfing has been reinforced, and we’re likely to see more of it. Dogs do what works for them. In the same way, dogs cease behaviors that are punished; they learn that those behaviors terminate the good stuff. If the dog jumps to greet, he is ignored. If he pulls on-leash, he can no longer move forward. If he mouths us when he’s over-excited during play, he gets a time-out. With repetition and consistency, the dog learns that unwanted behaviors don’t work for him, and he offers those behaviors less and less. Training that incorporates the reward and reward-removal methods discussed above yields behaviors that are more reliable than those achieved through traditional methods, which focus heavily on the “bad stuff.” Apart from simply not having the stomach to knowingly inflict pain on or instill fear in a dog, I choose reward-based methods because they don’t have the same negative side effects (exacerbating reactivity, aggression, learned helplessness, etc.) as traditional methods. When we incorporate bad stuff into our training repertoire, we run the risk of creating negative associations with any number of things. Actually, let’s talk more about associations. The techie term for this type of learning is classical conditioning. Remember Pavlov’s dog? He learned that the sound of a bell meant that food was coming, and eventually, the bell elicited the same response (salivating) as the food itself. The dog made an association: Bell predicts food. Pavlov is always on our shoulder, in all of our interactions with our dogs. What does your dog do when you pull out his leash? Chances are, he perks up, or wags his tail, or does a little happy dance. He has learned that the leash predicts a walk. What about when you open the pantry and rattle his favorite bag of treats? He probably runs up to you and gazes into your eyes expectantly. He has learned that those antecedents predict treats. But associations can be negative, too. How does your dog react when you break out the nail clippers? If you’ve taken the time to properly condition him to grooming, he may respond happily, but many dogs become fearful at the mere sight of nail clippers. They have learned that they predict restraint, or other scary stuff—like you accidently hitting the quick. It’s important to make a distinction between behaviors (like sitting, staying, jumping, or demand barking), which animals use to produce consequences; and displays of emotions (like wagging tails, twirling in delight when you come home at the end of the day, growling or baring teeth), which are responses to various stimuli. The key difference is the dog’s ability to influence outcomes. Most dogs will happily sit for a cookie; they use the behavior of sitting to produce desired consequences. But what about a dog that bolts to the front door every time the doorbell rings? He does so because he’s learned that the doorbell predicts visitors. He can’t influence the outcome of visitors arriving, but he anticipates their arrival when the doorbell tips him off. This distinction may seem trivial, but in reality, it’s gargantuan. Have you ever heard that you shouldn’t pat your dog when he’s fearful? That it will “reinforce” his fear? Or that you should never feed your dog when he’s barking and lunging at other dogs, as you’d be rewarding “bad” behaviors? Actually, this couldn’t be further from the truth. Imagine that you have a deathly fear of spiders. And while you’re out on a leisurely stroll, a giant, hairy spider lands right in front you. You scream in fear, run in circles, and cause a huge scene. But what if someone handed you a hundred dollar bill in the midst of your panic? And what if this happened ten times throughout the course of your walk? Do you think that, by the eleventh time, you might be a wee bit less fearful the next time you see a spider? You absolutely would. In fact, you might even learn to enjoy seeing them, since they predict hundreds. But what if each time you saw a spider, someone strangled you, forced you to sit on the ground, and yelled at you? By the eleventh encounter, do you think you’d feel any better about spiders? Absolutely not. In fact, you’d probably become more fearful of them, since they predict abuse. This sounds barbaric, but it’s precisely what we do to our dogs every time we “correct” them for reacting towards other dogs, or skateboards, or old ladies with canes. In our attempts to teach them that barking and lunging is unacceptable, we’re proving them right. We’re telling them that there is a reason to be upset. Emotions cannot be “reinforced.” They can be modified, however, for better or for worse. In the world of dog training, we’re (hopefully) trying to replace negative associations with positive associations, so that our dogs are no longer motivated to react. We do this by teaching them that fear-evoking stimuli predict good things. But learning cannot happen without motivation. As noted above, there are four ways to motivate dogs. They will work to avoid and/or terminate bad stuff (leash jerks, electric shock, squirts from a water bottle, etc.) or to continue and/or initiate good stuff (food, play, access to comfortable resting places, etc.). Luckily, we don’t need to exploit the bad stuff to motivate dogs. They, like all properly functioning animals, are motivated by food. They wouldn’t be alive otherwise. “But my dog has no interest in food when there are distractions!” To be 100% honest, I cringe every time I hear this from one of my students (even though I used to say the same exact thing). The reality is that something else in the environment is more motivating than our food rewards. This is where value comes into play. Let’s revisit our spider example. What if every time you saw a spider, someone offered you a dollar bill? Would that be potent enough to change your deep-seated fear of spiders? Probably not. That doesn’t mean that you’re not motivated by money; it means that a dollar isn’t valuable enough to trump your fear. The doggie equivalent of a dollar bill might be a piece of kibble or a dried food treat. That might be valuable enough to get some sits or down-stays in your living room, but in a high-distraction environment, it probably won’t cut it. So that’s when we break out the good stuff—the doggie equivalent of a hundred dollar bill. This might be tiny bits of boiled chicken, steak, or tripe. For dogs with strong prey drive, it might be a game of tug. It might also mean that we need to create distance, or lessen the intensity of the distraction. Going back to the spider example, a twenty dollar bill might get the job done if the spider were twenty feet away. When training, always consider what competing motivators you’re up against, and make adjustments accordingly. But What about Pit Bulls? So we’ve managed to boil down the basic principles behind animal learning without once using the word “pit bull.” And that’s kind of the point. Pit bulls are just dogs. They, like all other breeds, are motivated by rewards. In fact, they’re a pleasure to train with the “good stuff.” Generally speaking, positive reinforcement trainers love them. Of course there are exceptions, but the overwhelming majority of the hundreds of pit bulls I’ve worked with are highly food-motivated, drivey, clever and delighted to work for rewards. And when it comes time to do demonstrations in the all-breed classes I teach, I invariably scan the room for pit bulls to use. They make me look good. 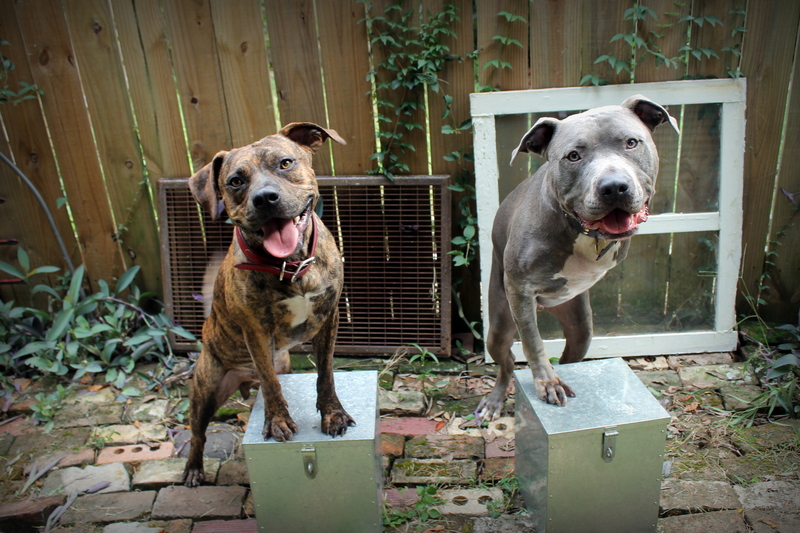 This has been a quick-and-dirty look at how dogs learn. Armed with this knowledge, you’re well on your way to a happier relationship with your dog. Stay tuned for the next installment: Foundation Behaviors every Dog should Know. 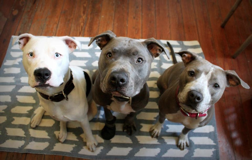 Kelly Shutt Cottrell is a force-free dog trainer living in New Orleans, Louisiana with her three pit bulls: Villere, Kiana and Rosa. 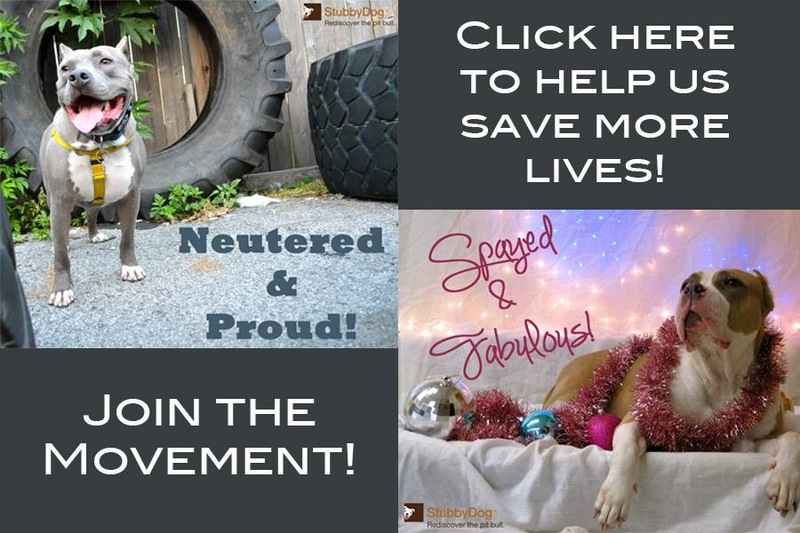 She is co-founder of Your Pit Bull and You, a 501c3-pending organization dedicated to spreading awareness that animal learning is not breed-specific. Thanks for the great article! I get so tired of listening to the ignorance people spew about pits! My first was a mastiff/pit he was smart and amazing! 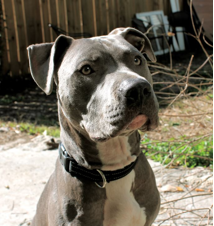 After we lost him to cancer we decided to get a pit, her name is Sura, she was a rescue and what an angel she is! Still shows a little fear to loud kitchen noises, but will continue to own pits, amazing animals! Great article! I’m from CA but here on the East Coast where I live now, pit bulls have a huge stigma, and they can certainly be great dogs. I wanted to point out that your chart is wrong – Positive punishment is INCREASING the bad/scary/painful thing, and negative reinforcement is decreasing it, in Operant Conditioning. Positive means increasing and negative means decreasing, so you have your bottom two terms swapped. Positive punishment is the *addition* (hence the + column header) of something aversive, which results in a *decrease* in the immediately preceding behavior. Negative reinforcement is the *termination/removal* (hence the – column header) of something aversive, which results in an *increase* in the immediately preceding behavior. It isn’t punishment, of any variety, unless the immediately preceding behavior decreases. Similarly, it isn’t reinforcement, of any kind, unless the immediately preceding behavior increases. So, for example, if a dog is pulling on-leash, the handler pops his collar, and he pulls less as a result, then we have a positive punishment trial. It is defined as anything that is added which results in a decrease in behavior (which, incidentally, is the definition of an aversive). That would make things so much clearer, wouldn’t it, Scott?! The language isn’t very intuitive, but it’s the language we’ve inherited. Helpful advice Kelly. 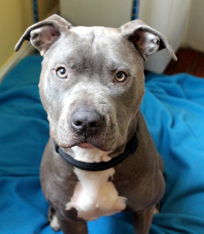 There really does seem to be a lack of understanding or misinformation out there about Pitt Bulls. Thankyou for your insights. People who think pits are hard wired to be aggressive are just ignorant. Pits and Rots (to which we have 2 of) are 2 of the most friendly dog breeds I know. Very informative post. 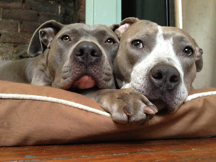 You’re absolutely right – Pit Bulls get a bad press, but often the problem is with the owners and not the dogs. I just discovered your fantastic article, Kelly! Very nice and informative, the example with “Pavlov’s dog” is great.